Tackling stigma and discrimination on World Mental Health Day: What we now Know. What Next? People continued to be discriminated against by the very systems that are supposed to support them. Within health services, welfare and housing, people reported no improvement or even more discrimination than they did in 2008. Today (10 October) is World Mental Health Day. One of the biggest barriers many people living with mental health problems face is discrimination because of their mental health. Although the UK is more tolerant than many countries, recent research has found that a majority of people have prejudicial attitudes towards people with mental health conditions. Since 2008, Time to Change has been campaigning to end this discrimination in England. 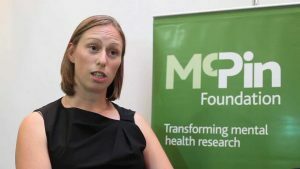 The McPin Foundation has been working alongside them to help understand how people living with mental health problems experience stigma and discrimination in their daily lives and to see whether things have improved. Given that many people who stigmatise mental health problems probably do so unwittingly it is vital to understand how discrimination is experienced in order to tackle it. The Viewpoint survey is a telephone survey that took place annually from 2008 to 2014. Each year we asked up to 1,000 people who used mental health services about their experiences of discrimination. The final results from this work have now been published in a special edition of the journal Acta Psychiatrica Scandinavica which is free to read. “Discrimination is very common for Mental Health service users and this study looked at 5 main contexts. These were: welfare benefits, mental health care, family, friends and physical health care. So, what do we now know about experiences of mental health related discrimination in England? First, there has been some improvement since Time to Change started. Overall, the amount of discrimination people experienced in 2014 was less than in 2008. The biggest improvements happened in people’s family and social interactions. This is great news. For many people, friends and family are their most important sources of support, but it is from family and friends that people reported discrimination most often at the beginning of the Time to Change campaign. Sadly there are areas where things have not improved. When we asked for more detail about these experiences, we heard about failures to provide the right kind of support at the right level and a sense that attitudes towards people with mental health problems had hardened. This was reflected in how they were treated by the health, welfare and housing systems and professionals in them, and in the way this support was discussed nationally. Our work has demonstrated how discrimination takes place at two levels. In the personal contact that takes place every day, and in the way we support people living with a mental health problem as a society. Both need tackling. While the first seems to have got better, the second is still a big concern. We cannot understand experiences of mental health related stigma and discrimination without understanding what is happening in the wider political and economic environment. Political debate and changes in policy affect people living with a mental health problem, both directly – in terms their access to support and their income – and indirectly in the way that mental health is perceived and discussed publicly. This is not just an issue of social justice. our research found that the experience of discrimination affected people’s mental health. The impact of discrimination across different settings was often perceived by participants as aggravating their mental health, and there is thus a need to treat discrimination as a health issue, not just a social justice issue. So what now? The Viewpoint survey took place at a time when there were lots of changes in the government and economy. In 2016, we are in another period of change. We cannot allow these changes to result in more stigma and discrimination for people with mental health problems. The Government has recently announced further funding for Time To Change. This is excellent news. The new Prime Minister has also spoken repeatedly about the inequalities faced by people with mental health problems. But, as our research shows policy makers must also face head on the discrimination against mental health problems that is still prevalent in many public services. As an organization, the McPin Foundation will continue to strive to provide the evidence that shines a light on these problems, and how things can be improved. If you would like to keep up to date with the work of the McPin Foundation please subscribe to our newsletter. Please also consider donating to help support our life changing research.